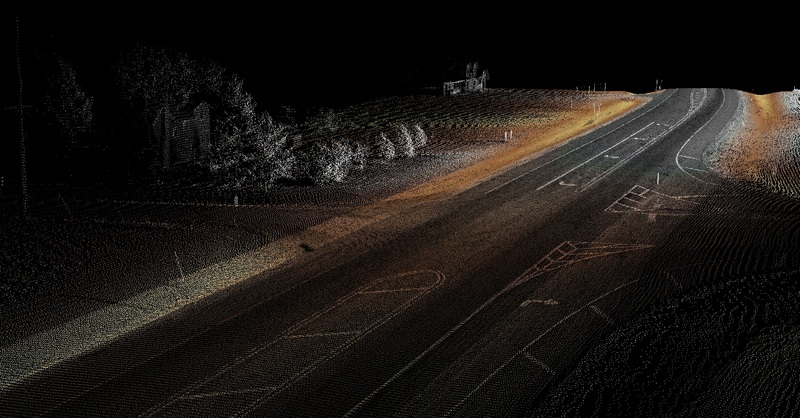 This was provided by AeroMetric from one of their mobile lidar collections. This entry was posted in LiDAR Pictures, Uncategorized. Bookmark the permalink. I work for a GEO company in the UK and I can provide you with several LiDAR images for your “picture of the day” feature. Please contact me, and I will send you some!